Kevin: Hey Ronz, thanks for your insight. I understand your point--it certainly is more powerful to empathize when you have walked in the same shoes before. But that said, I don't think it's fair to label all those that work with sleep terrors as incapable of sharing insight if they haven't experienced attacks, or unable to understand how terrifying they can be for the patient. 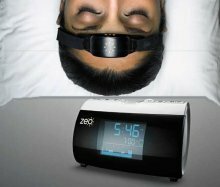 If anything I'd imagine that those that study sleep terrors have a much better understanding of the fear involved from witnessing it first hand in sleep studies than people in the general public would who haven't experienced sleep terrors personally either. These are insights you can likely work to your advantage. Maybe you just haven't found the right person or doctor yet. 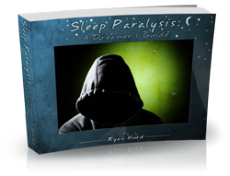 But in terms of gaining insight from people who DO experience sleep terrors themselves, you may find this collection of thoughts and stories a valuable resource. If you feel like sharing more of your own experiences with sleep terrors yourself, I would definitely encourage you to do that there too. It's all about promoting dialogue and conversation, so that individuals who do experience sleep terrors can learn from each other, and individuals who don't can better come to understand those who do. Thanks again for your own thoughts. P.S. Do you care to elaborate by what you mean by "these studies" in the first sentence?